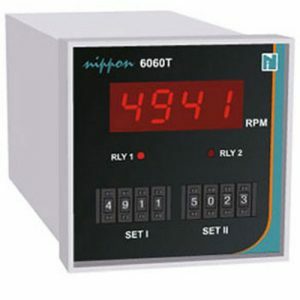 RPM/Frequency – Nippon Instruments (India) Pvt. Ltd. Wide range from 10 to 9,999 R.P.M. P.L.L. Multipliers and quartz crystal timebase. 2 Sets of 4-digit thumbwheel setting. 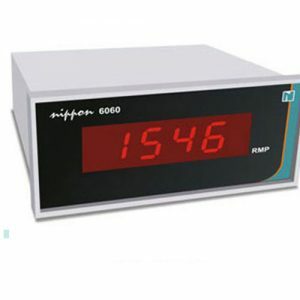 Housed in 96 (H) X 96 (W) DIN size box.